Being taken to jail in cuffs depresses most people, who have never been in legal trouble in their lives. Do not waste time dwelling on “water under the bridge.” That mistake happened the night before, so NOW turn your attention to beating the criminal charges. Be aware that even a first offense DUI, if you are convicted, can NEVER be removed from your criminal history. Georgia DUI laws totally LACK a DUI expungement alternative. If you were arrested in the city limits of Sandy Springs GA or the nearby municipalities (Dunwoody Municipal Court, Roswell Municipal Court, Brookhaven Municipal Court, Johns Creek Municipal Court, Alpharetta Municipal Court, Smyrna Municipal Court, Chamblee Municipal Court, and Milton Municipal Court) call our three Super Lawyers who also are all Sandy Springs lawyers. For a person seeking DUI lawyers near me, few attorneys in Georgia have a closer law office location than ours to the above-mentioned municipal courts. The majority of first time DUI cases in Sandy Springs GA start with our client being issued a traffic ticket of some type, like speeding, or failure to maintain a lane. Once a pullover has taken place, and the officer smells alcohol or drugs, the traffic stop can quickly become a DUI stop. 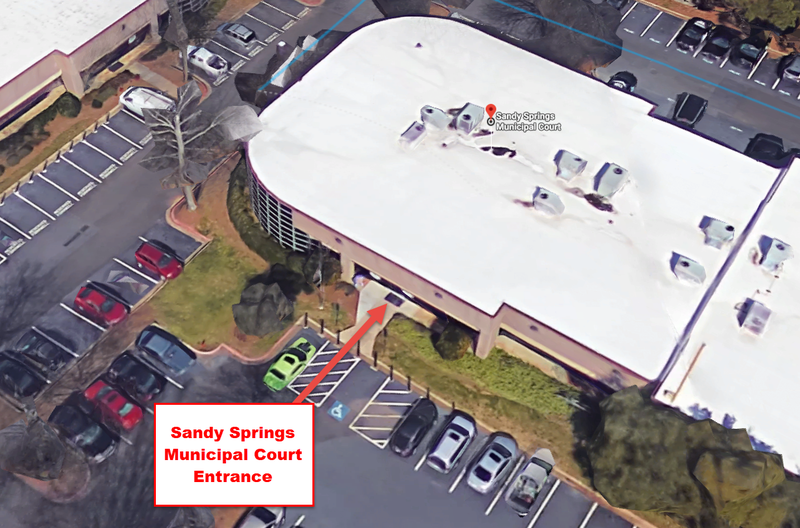 The Sandy Springs Municipal Court is in the Morgan Falls Business Park just north of the intersection of Roswell Road and Morgan Falls Road. 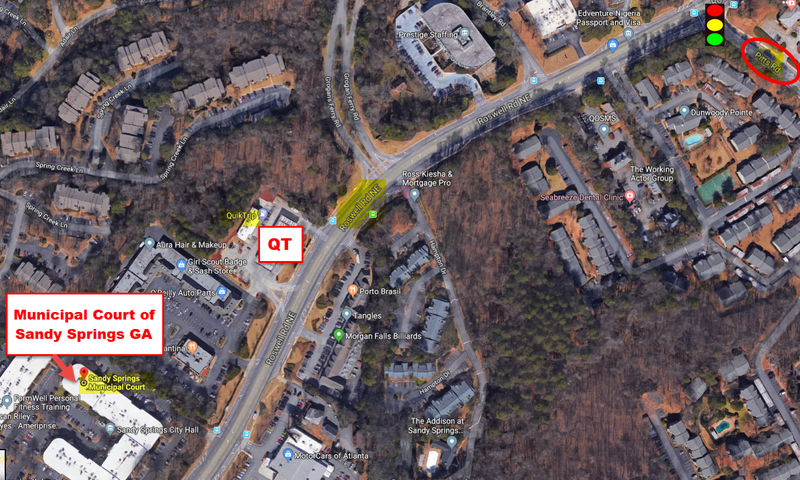 If you know where the QT Station is located, then the Court is about a football field length SOUTH of there, on the same side of the road (near Tijuana Joe’s Mexican restaurant). The address of Municipal Court of Sandy Springs GA is 7840 Roswell Road, Building 500, Sandy Springs, Georgia 30350. The Sandy Springs Clerk’s phone number is 770-730-5600, which is the Court Administrator number. This aerial map shows some key landmark, to help you find the Municipal Court. For may who pass up and down Roswell Road daily, the Quik Trip (QT) station is a 24-hour beacon of light. The Sandy Springs court is VERY close to that landmark. The current Sandy Springs Municipal Court judges are Candiss Howard, Donald Schaefer, Marcie Ernst, and Joseph Burford. Remember, the Judge cannot “negotiate” with a DUI defense lawyer on your behalf. That is the job of the Prosecutor. If your case reaches the jury trial phase, your case will be moved to State Court of Fulton County in downtown Atlanta. If your case is moved downtown, the same attorney that you hired at the outset will continue to represent you. At your first Sandy Springs court appearance, called an “arraignment,” the charges against you will be announced, and you must enter a plea of guilty, not guilty, or no contest (nolo contendere). If a new date for court is needed, ask our criminal defense attorneys about this scheduling issue. From our office location at 5590 Roswell Road, Suite 210, Sandy Springs, GA 30342, our Sandy Springs attorneys can be in any of the courts in the 4 metro Atlanta counties in no more than 30 minutes, and these are our LOCAL courts. Our law office is as LOCAL to Sandy Springs Municipal Court as you can get. Plus, Mr. Head’s home in Sandy Springs is less than 3 miles from this Court. Our firm location is ALSO on Roswell Road, but south of the Sandy Springs Traffic Court location, for the convenience of our clients. Our law firm is in the Prado Shopping Center, a mainstay in North Fulton County for over four decades. This shopping center also has the Target Store, Staples and Taco Mac. Our law office’s front door is 300 feet from the Publix entrance, completely sheltered from rain and wind. Our front door is accessed via the P3 parking deck at Prado Place. Our offices are positioned above Marlow’s and the other Sandy Springs restaurants next to Marlow’s in the Prado. To the south of our office windows, Lifetime Fitness Sandy Springs has a multi-million-dollar outdoor pool and gym. 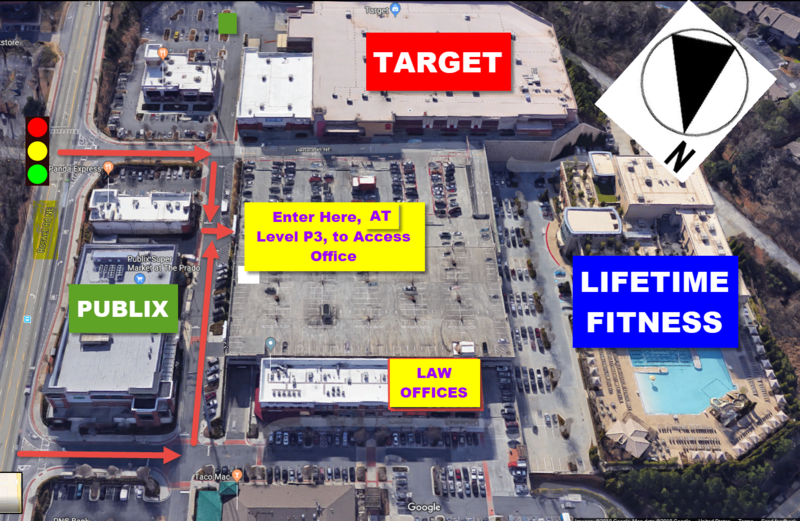 Lifetime Fitness parking is found on P1 of the Prado parking deck, and our office suite is located on P3. Our Sandy Springs DUI law firm has three DUI specialists, to be able to handle any DUI violation of Georgia motor vehicle laws, traffic tickets, or local ordinance violations. Our legal team handles criminal cases all the way up to serious felony offenses like vehicular homicide GA, aggravated assault, serious injury by vehicle. Plus, Georgia laws have many serious misdemeanor traffic offenses, like driving under the influence of alcohol or drugs that can automatically suspend your right to drive, if convicted. Some of our Sandy Springs DUI cases also involve a hit and run, which is also a very serious driving offense (like drunk driving). Additionally, for any case with a child passenger under age 14 years old, child endangerment can also be an additional DUI charge for EACH underage child. If the DUI arrest was made by a Sandy Springs officer or Georgia State Patrol trooper in the city limits of Sandy Springs, your case will be assigned to Sandy Springs Municipal Court. Our lawyers in Sandy Springs handle everything from super speeder GA, to attempting to elude an officer and leaving the scene of an accident. The court building for Municipal Court of Sandy Springs is behind the Sandy Springs Police Department. Several office buildings not connected to Sandy Springs government share the same parking lot. Our Sandy Springs DUI lawyers have represented many tough misdemeanor cases in this courtroom, ranging from prostitution, noise ordinance violations and misdemeanor vehicular homicide. In almost every case, our Sandy Springs attorneys have worked with the city prosecutors to achieve favorable outcomes for most prior clients, but we always can demand a jury trial on your behalf and transfer the case to Fulton County State Court. The objective is to win, or find a negotiated solution, such as DUI reduced to reckless driving. A top lawyer from our Sandy Springs law office will appear on your behalf and enter a not guilty plea for you. 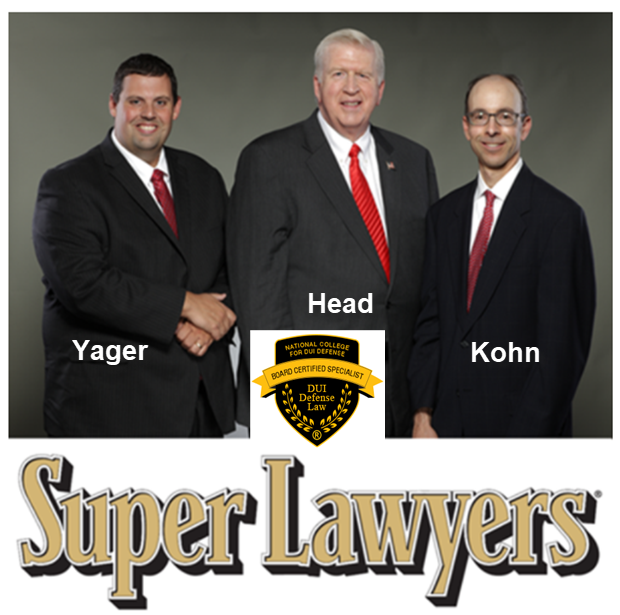 Ex-cop Cory Yager, Bubba Head and Larry Kohn have collectively handled thousands of DUI cases. In criminal law, experience is paramount, and the three law partners bring a collective 73 plus years to the table. On or before the day of your arraignment, our law firm in Sandy Springs will file motions to obtain the State’s evidence that the prosecutor plans to try to use to convict you of drunk driving and any other traffic offenses you face. This could be something as simple as texting while driving, or impeding the flow of traffic, not having a seat belt fastened, or an open container violation. On Georgia 400, we have many Georgia Super Speeder violations, too. Do I Need a DUI Defense Lawyer? Just reading these THREE driving under the influence case histories will tell you that we are serious criminal lawyers: (1) BAC levels triple the alcohol legal limit, or (2) with a DUI refusal and failing all three NHTSA field sobriety tests, or (3) another DUI case report of a DUI checkpoint with an Intoxilyzer breath alcohol test double the legal limit, from two of our previous criminal defense trials will dissuade you from thinking that you don’t have a chance to beat a DUI in court. Fear of unknown consequences can be a powerful adversary. Our Sandy Springs DUI attorneys WELCOME your criminal attorney law firm comparisons, since our accolades and achievements will match or exceed any other Georgia lawyers. Whether it comes from client reviews, attorney ratings, of accomplishments in the Georgia legal community, we will be at the top. For example, our law firm has three different law book authors on criminal trial subjects, which is unique in Georgia and possibly in all of America. A successful criminal defense record for all Sandy Springs DUI lawyers in the DUI law firm includes track records of success, and each lawyer for DUI possessing the ability to neutralize NHTSA standardized field sobriety test evidence. Our job is to find ways to eliminate breath alcohol numeric results, especially where the “number” exceeds the legal alcohol limit. Plus, knowing the LAW in DUI in Georgia is critical, and this entails our Georgia DUI lawyers being familiar with every prior Georgia appellate decision (and some decisions from other courts) to be able to help you take advantage of your opportunities to win, under Georgia DUI laws. Implied consent laws often is that pathway, which we will explain when we meet. Challenges to the implied consent law in Georgia are currently being considered by both the Georgia Supreme Court and the Court of Appeals of Georgia. Drugged driving cases (DUI-drugs) have grown by 100% in the last two decades. Mr. Head is a national expert on sleep driving DUI cases, which occurs when a person is not aware that he or she has gotten behind the wheel, after taking prescription medications. These drugs for insomnia or pain management are being dispensed in record numbers. Be aware that a conviction for DUI-drugs has more devastating DUI penalties in the state of Georgia than a DUI-alcohol case, due to more severe loss of driving privileges and other loss of entitlements (e.g., loss of the Georgia Hope Scholarship due to any “drugs” conviction). This is just one unseen pitfall that can catch you off-guard, when a DUI is put on your criminal history. Each DUI defense attorney in our Sandy Springs law office possesses special training on debunking “drug recognition” officers’ training and roadside tests like the “modified Romberg test” and the less-extensive ARIDE protocols require that our criminal defense lawyers know how to challenge a GBI blood alcohol or drugs test. 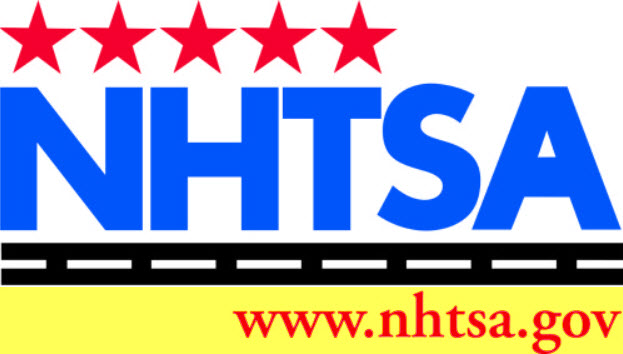 Each of our Atlanta lawyers are an INSTRUCTOR in the three NHTSA standardized field sobriety tests (SFST), which exceeds the training of most police officers making arrests for DUI in Georgia. Our best DUI lawyers in Sandy Springs, Georgia will offer you a FREE attorney consultation, explain how their criminal defense attorneys review your DUI case facts, and implement a game plan for winning. Our three Georgia Super Lawyers aggressively represent clients accused of committing crimes in Sandy Springs through filing and arguing suppression motions. Limit your search to a lawyer for DUI in Sandy Springs who has achieved legitimate legal industry excellence attorney ratings, and who possesses a track record of proven drunk driving defense results on knowing how to beat a DUI. If our law firm in Sandy Springs has the RIGHT criminal defense attorney for you, ask our law office about our DUI attorney payment plans. Call our DUI attorneys in Sandy Springs NOW, 24-7, for an initial criminal law case review and to obtain FREE legal information: 404-567-5515 or email our criminal justice lawyers.